Many individuals have become more interested in purchasing a fixer-upper versus a home that is what’s called “turnkey.’ Some attribute this to the increase in reality television shows featuring fixing and flipping various properties while others attribute this increase to the possibility of creating a custom space with all of the features a homeowner wants. Whether you’re planning on living in your fixer-upper once the project is complete or are interested in flipping and selling, the process of purchasing a fixer-upper is a little different than the traditional home buying process. What is a Fixer Upper House? A fixer-upper house is a property that requires some form of maintenance or updates, whether that be cosmetic or structural. Fixer-uppers tend to be popular among real estate investors as well as first time home buyers as they present an opportunity to buy below market value. By making updates, the buyer is able to meet or exceed current market standards and build equity in their property faster. Although fixer-uppers are more affordable than purchasing a turn key home in the perfect neighborhood, the process of buying a fixer-upper and renovating it is more complicated than what you see on television. Before purchasing a fixer-upper, consider the following. Structural Work – Structural work tends to be the most expensive cost associated with buying and renovating a fixer-upper. Always commit to having a property inspection in order to avoid any surprises when it comes to the foundation and overall structure of the home. Cost of Renovations – During your property inspection, the professional inspector will be able to provide you with an accurate estimate of how much the renovations you plan on will actually cost. Permitting Costs – Not all renovations require a permit, but it’s important to find out the permitting requirements and costs associated with your local government. 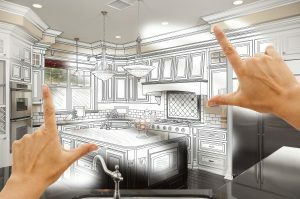 Projects with Strong ROI – Before jumping into a renovation, figure out what projects will bring in the biggest ROI (return on investment) and which ones won’t. This will help you prioritize the budgets and timeline for each project. If you’re not sure where to start, look at look comparable properties and see what projects they worked on to improve the property. DIY vs. Hiring a Pro – We love a good DIY project as much as the next person but knowing when it’s time to hire a professional contractor will make a huge difference on whether or not the project is completed correctly. Don’t forget professional contractors cost money and you’ll need to add this additional cost into your budget. Finding a Reliable Contractor – On the topic of professional contractors, finding one that is experienced, reliable, and is good at what they do can be a process. As friends, family members, and neighbors for their recommendations and always ask the contractor for references, visit old job sites, and look for recommendations online before hiring one. The Probability of Going Over Budget – Renovations can be expensive and the probability of going over budget is very likely. When you’re going over each of the projects you want to complete in your fixer-upper, factor in a little extra “wiggle room” into your budget to avoid any additional stress with projects that end up costing more than expected. Personal Aspects – Are you considering starting a family soon? Have several work commitments coming up? Traveling a lot? Consider what’s going on in your life and how a fixer-upper and the renovations that come along with it, will affect your day-to-day schedule. How Much Time Do They Take to Renovate? Depending on that type of renovations you are planning, a full renovation for a home can take anywhere between two to six (or more!) months. Keep in mind that this will all depend on the size of the space, how far in advance you place orders, and if you’re planning on renovating multiple rooms at once or room-by-room. 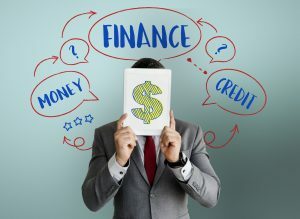 It’s no secret that a down payment for a house and paying a monthly mortgage is expensive but how does one finance renovation projects on top of these monthly expenses? Some homeowners will opt to put any renovation costs on their credit card but if that’s not possible, two popular choices are conventional financing and the FHA 203K loan. Once referred to as renovation mortgage, conventional financing allows buyers to have the option to combine both their mortgage and any additional amount needed for repairs and upgrades. Once a scope of work is put in place, the buyer will draw up contractor estimations and submit these to the lender’s appraiser. The appraiser will then use this information to an estimate for the after-repair value of the property to determine how much the loan will be. Keep in mind that because of the increased risk, lender’s will be more critical of financing for fixer-uppers. The FHA 203K Loan was created in partnership between the Federal Housing Administration (FHA) and the U.S. Department of Housing and Urban Development to encourage the revitalization of older homes. The loan combines the monthly mortgage of the property with the finances needed to renovate the property and can be up to 110% of the estimated after-repair value. The FHA 203K Loan also adds an extra 10-25% as a contingency for any issues that might arise. Roof – Is it sagging? Cladding? Are there any issues that would cause water to leak in or heat to leak out? HVAC – How old is it? What type of furnace is currently installed? Plumbing – Are there any noticeable leaks in the property? How is the water pressure? Electrical – Is the property properly wired? Is there enough power? Foundation – Are there any cracks or drooping? Some areas of the property such as the roof, furnace, and electrical, are areas that you can’t avoid spending extra money. Depending on where your new property is located, the permitting laws will differ so always check with your local permitting department to verify what you do and do not need permits for. While buying a fixer-upper and going through the renovation process can be overwhelming. There are several benefits of going the fixer-upper route. You’ll get into your desired neighborhood at a lower cost – We all know the neighborhoods in your area that are highly desired with a price that reflects that demand. By finding a not-so-perfect house in the perfect neighborhood, you’ll be able to avoid those extremely high costs. You’ll be able to create a home that is uniquely yours – The downside to moving into a turnkey house is that someone else chose all of the finishing touches on the home that you’ll pay for in the purchase price. With a fixer-upper, you’ll be able to create a space that is uniquely yours with all of the design details you love. Increase value – Spending the time and money fixing up your bathroom, kitchen, and other areas of your home will give you the potential to increase the overall value of your home and sell-ability if that is a route you decide to take in the future.